The Vanuatu Surfing Association is a registered Vanuatu charity organisation and relies upon a number of sponsors to help promote surfing in Vanuatu. Here is the list of our long-term sponsors that have committed time and money to help us out. We can’t thank you enough and strongly suggest that anyone in Vanuatu or planning on traveling in Vanuatu get in touch and support these folks. Jon Law and the team at Law Partners have been long-term sponsors of the VSA, helping get teams to International competitions in New Zealand, New Caledonia and Australia, and providing much needed support for the personal and professional development of many of our young surfers. If you are looking at establishing a business in Vanuatu or have accounting requirements within Vanuatu, then you simply can’t go past the most respected accounting firm here, Law Partners. The Kava Emporium have sponsored the Vanuatu Surfing Association from its inception and have been pivotal in getting surfboards and equipment into the hands of the rippers who need them throughout Vanuatu. Cam, James and the Kava Emporium team are big supporters of getting women and girls into the waves, and regularly sponsor our Dae Blong Gels events as well as supporting international development opportunities for our female surfers. The Kava Emporium is the most unique store in Vanuatu, hosting a range of kava based products such as kava chocolate, kava cola, instant kava and a host of other Vanuatu made products. If you are visiting Vanuatu its essential that you stop in and check out The Kava Emporium. Whilst not sponsoring the Vanuatu Surfing Association directly, senior figures within Jirsch Sutherland have established the “Operation Do Something” Project which sources funds and equipment to assist a selected Vanuatu school each year. “Operation Do Something” has also been instrumental in getting a massive amount of boards (upwards of 100) into the hands of the VSA and to beginner surfers throughout Vanuatu, including Eratap Village, Pele Island Board Riders, Pango Surf Club and the Zion Boardriders. If you are after a boutique setting that also allows you to get a surf in, then there is no better place in Vanuatu than Eratap Beach Resort. Tony and Louise – both keen surfers – run a beautiful resort that is encompassed by pristine reefs excellent for snorkeling and diving, deserted islands, and crystal blue lagoons not to mention great surf in the form of two of Vanuatu’s best waves within 10 minutes paddle of the resort. SURFVANUATU will take you to the best breaks Vanuatu has to offer using local knowledge to find the best waves for any condition and escape the crowds! Melanesian surfing champion John Stephen and his crew will ensure a great stay in this unique part of the world. Pango Surf Club in southern Efate have a strong crew of Ni-Vanuatu and expatriate surfers who compete throughout the year as well as holding various community events such as beach clean-ups, Dae blong ol Gels (women and girl focussed learn to surf days) and fundraising activities. Through their hard work they have inspired fellow Boardriders in the communities of Eratap, Pele and Tanna to start their own nascent clubs and in June 2015, Zion Boardriders from the community of Evalias joined the growing surf scene in Vanuatu. Paul Parkes and his dedicated crew of craftspeople at 3p surfboards are big supporters of surfing in Vanuatu. A quick scan of the lineup and you’ll notice 3p boards are the ‘ski’ of choice in Vanuatu. Check out 3P online for your next surfboard! 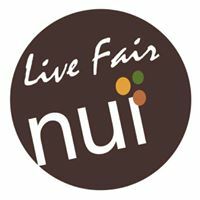 The crew at Nui Generation coconut products are dedicated to making and sourcing ethically produced products that showcase the bounty of the region. Get in touch with Andreas and the crew at Nui Generation, big supporters of surfing development in Vanuatu. At the invitation of our good friends from Newcastle Surfest, the VSA has sent competitors to each years event since 2012. In 2015 we sent our first squad of Outreach surfers from the communities of Pele and Eratap, and in 2016 we were proud to again send competitors from our Outreach communities, as well as Vanuatu’s first girls squad, to compete in the Maitland and Port Stephens High School Challenge. In a sure sign of how fast surfing is developing in the island nation, in 2016 Surfest organizers extended an invitation to Pango surfer Roger Taleo to compete in the NIB Insurance Pro Junior. Finally if your company thinks they can assist in promoting Vanuatu Surfing then please shoot through your information to us on any of the contact details on our Contact us Page.